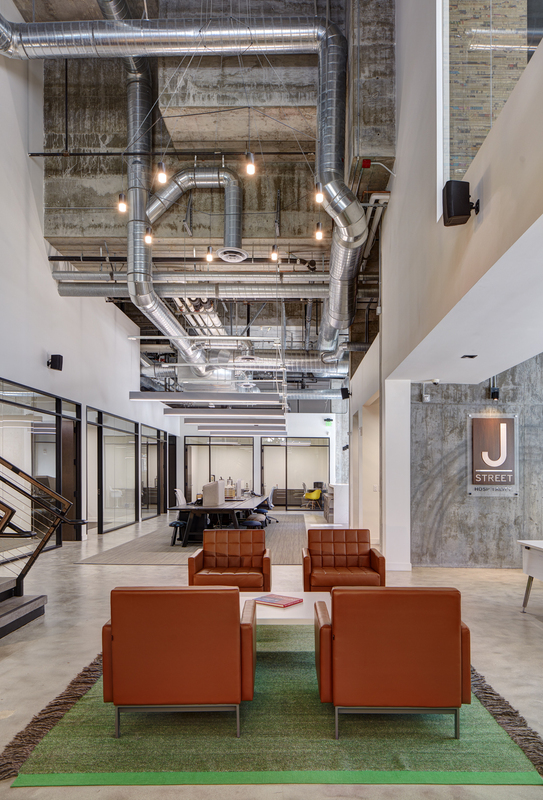 The design for J Street Hospitality’s new office in San Diego’s East Village was precipitated by the requirement to include a commercial space on the ground level. 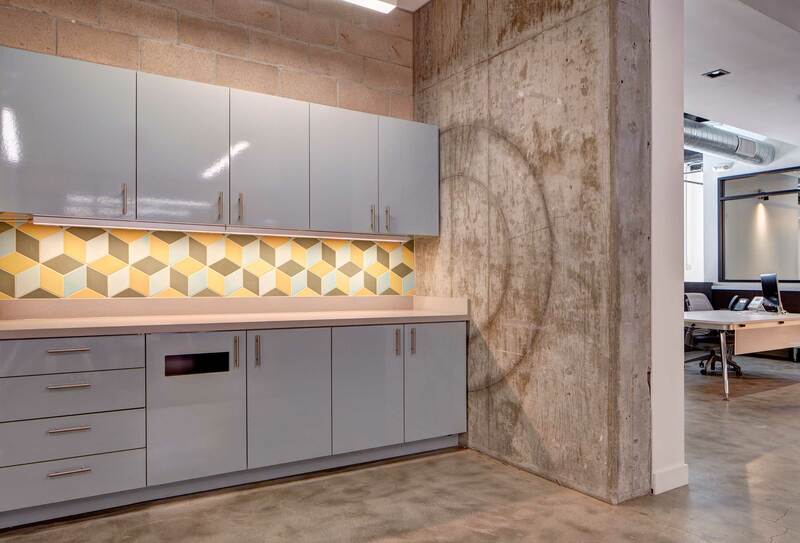 This, coupled with the extremely high visibility of the site due to its neighbor, Petco Park, creates a blend of New York Deli meats San Diego contemporary office. 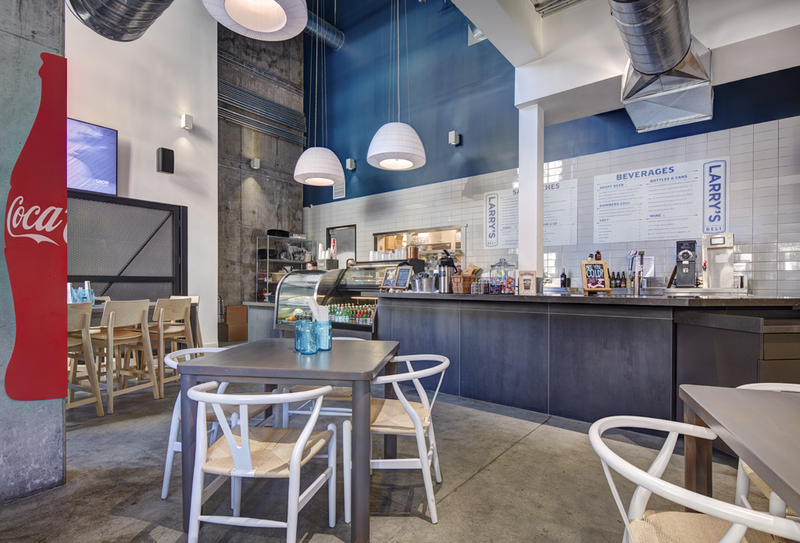 The design complements the edgy and young professionals working at J Street Hospitality, from the materials to the amenities. Ping-pong anyone? 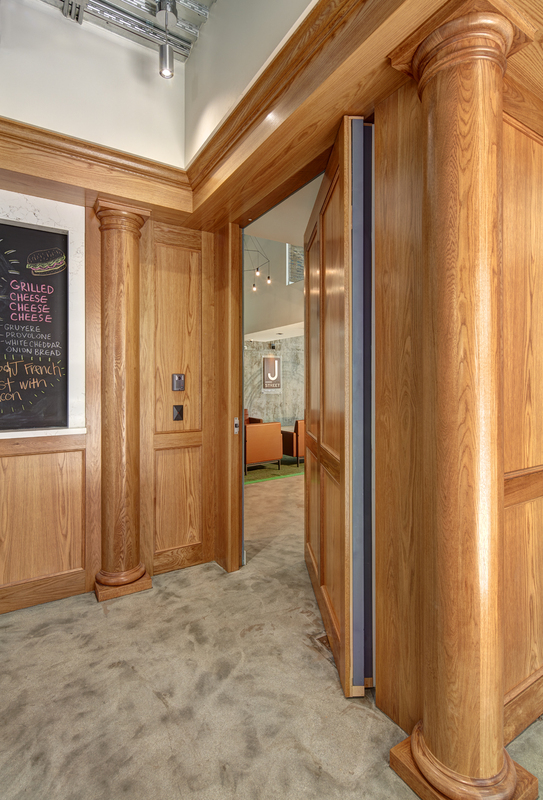 The office lies behind a large, enhanced wall that provides a hidden entry door, a nod to the speakeasy. 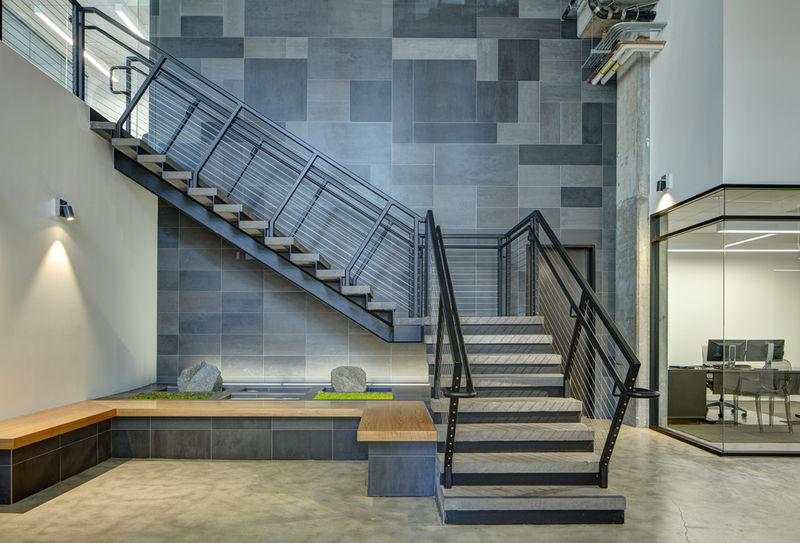 Once through the office doorway, the space opens into a grand entry area with 30’-0” ceilings, exposed mechanical equipment, glass fronted offices and a shared communal space—masculine, upscale, yet industrial. 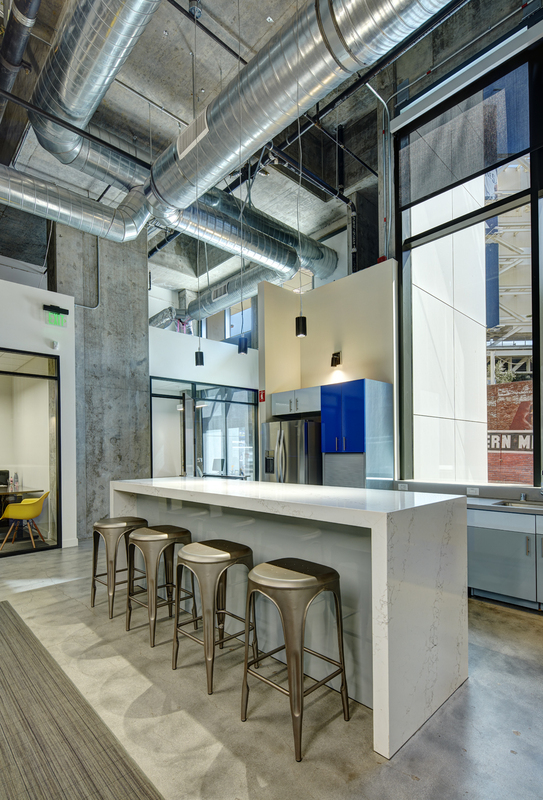 The new mezzanine, suspended above both the open office area and the deli, looks out onto 7th Avenue and Petco Park through the building’s large existing historic windows. 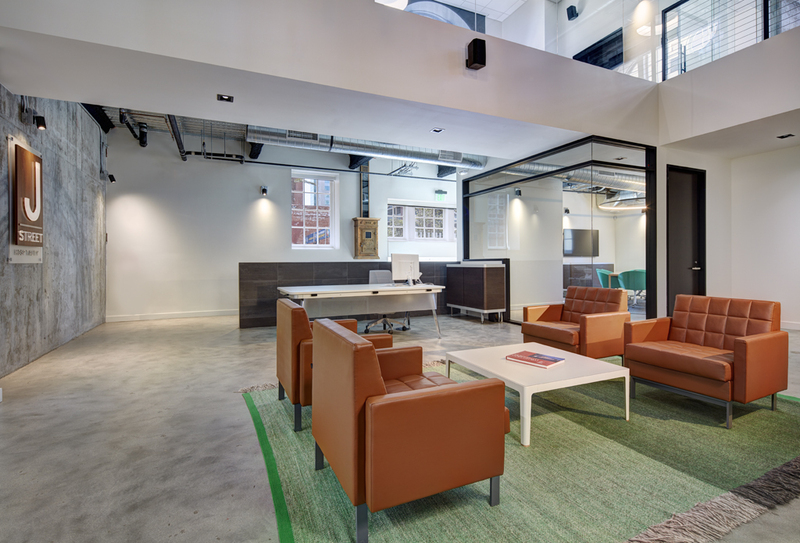 By strategically placing the mezzanine level offices and common areas to take advantage of the large windows, natural light was brought into the overall space, further engaging office staff with the energy of the outside. 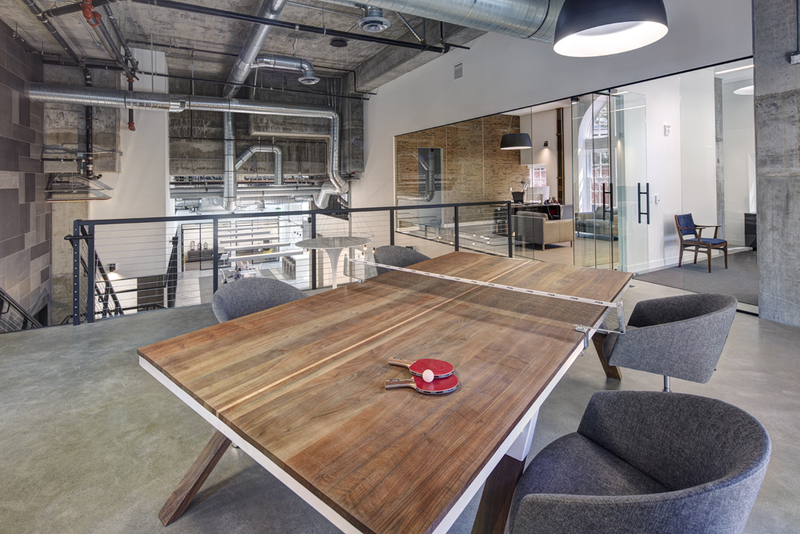 The Walnut meeting table doubles as a ping pong that is highly used by all. 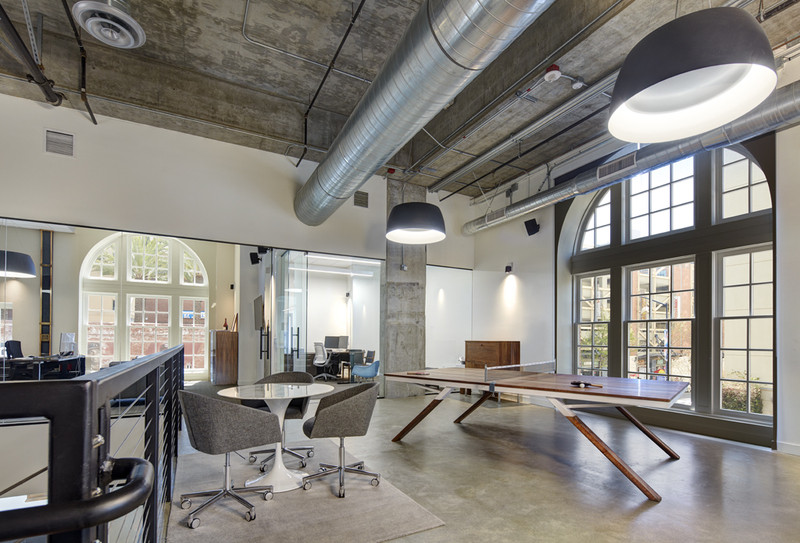 The overall energy of the office is focused on creating a collaborative environment where all users have access to natural light, as well as being visually connected.